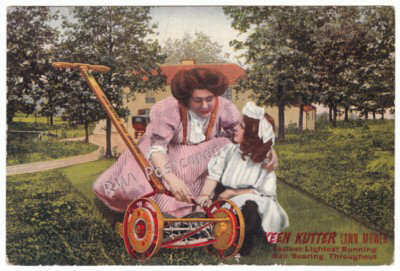 I was again going thru my old vintage postcard stock, when I came across this advertising postcard for the Keen Kutter Lawn Mower. I found out the Keen Kutter trade name was first used by Simmons Hardware Co. of St. Louis, MO in 1866. 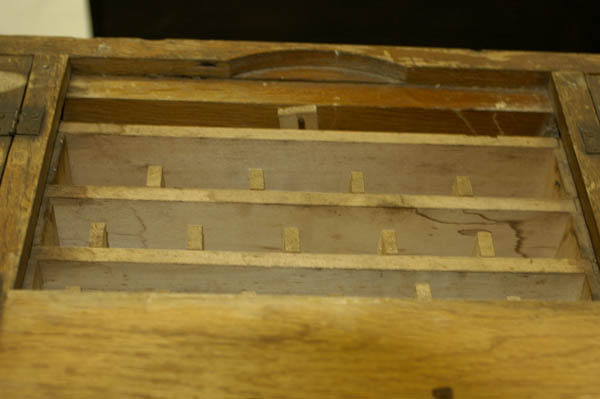 Keen Kutter became synonymous with an unparalleled guarantee of quality and satisfaction, and E.C. Simmons capitolized on it with a well-organized marketing strategy. He put the Keen Kutter logo on everything a retailer could require or use. Anotherwards, E.C. Simmons used an early form of branding. This aggressive advertising strategy, and the Keen Kutter name, eventually helped E.C. Simmons and later A.F . Shapleigh (a competitor) become responsible for wholesale hardware industry as we know it today. What Do Dealers Do With JP Coats Thread? Just a short one this time. 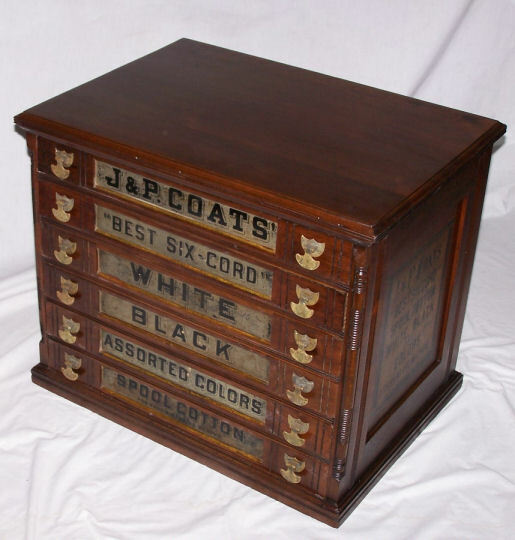 I thought some of my readers of Victorian trade card blog posts might find the following images of JP Coats display cases used by dealers interesting. 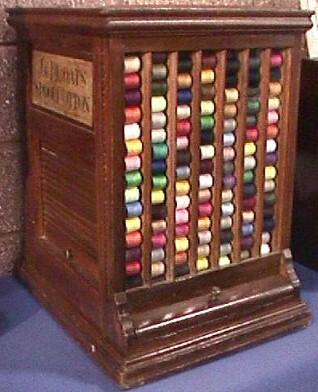 I came across them while searching for current images of JP Coats sewing thread. 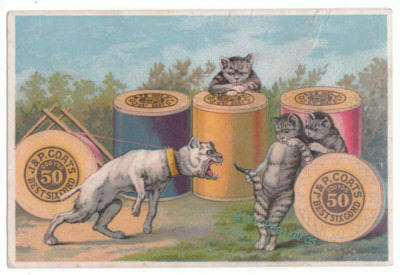 ** If you liked this Victorian trade card related blog post, please click on the below buttons or the bookmark button to the lower right. Thank you for visiting! 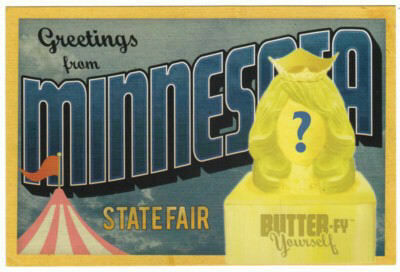 It’s Postcard Friendship Friday! 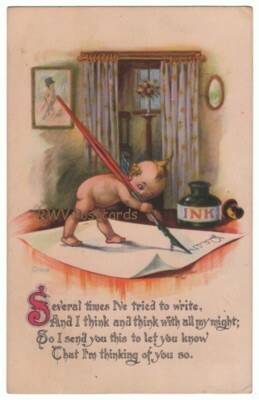 Be sure to stop by The Best Hearts Are Crunchy blog to see all the postcards being shared. I found this antique postcard message funny as it’s a question I’ve asked a few of my immediate relatives a time or two over the years (and them of me). It’s a safe bet Alice’s English teachers would have a field day with this message. The above message was rather blunt. Apparently, this approach was necessary in order to get Emma’s attention. It can therefore be assumed it’s been awhile since Alice’s heard from Emma. If Emma is dead, I somehow don’t think Alice would like to experience a paranormal event by hearing from Emma. I also don’t believe Alice would like Emma to “come down when you can”. I certainly wouldn’t like a visit from a ghost. Would you? 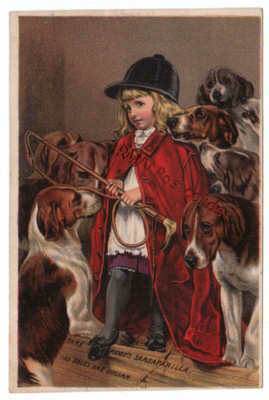 ** If you liked this antique postcard message blog, please click either the below buttons or the bookmark button to the lower right.